João Rosas was born in Lisbon on November 2, 1981. He studied Communication and Cinema in Lisbon and Bologna. He attended the London Film School (MA Filmmaking) with an arts grant from Gulbenkian Foundation. He has published three books (short stories). 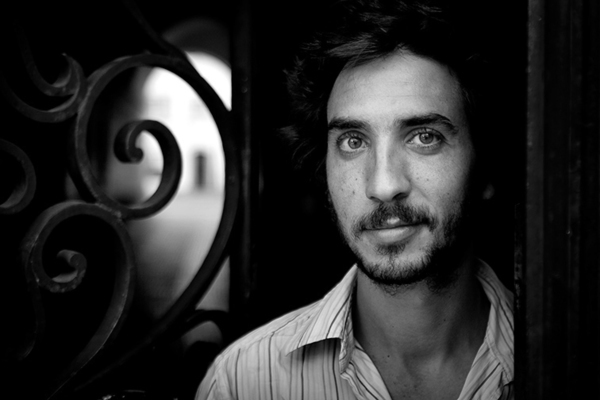 He directed the documentary Birth of a City (competition at IndieLisboa 2009) and a few short films, like My mother is a pianist (Honourable Mention at OvarVídeo 2006), Entrecampos (Curtas Vila do Conde 2012, Festival d'Angers 2013, among others) and Maria do Mar (Best Short Film at Curtas Vila do Conde 2015 and at Olhar de Cinema 2016). After having worked regularly in editing and camera in Portuguese, English and German productions (shorts, features, documentaries), at the moment he's a grantholder in a research project on the representation of work in Portuguese cinema during the 20th century, Works: work on screen, which combines the approach of social sciences with film analysis of archive footage.